S.T.E.M. 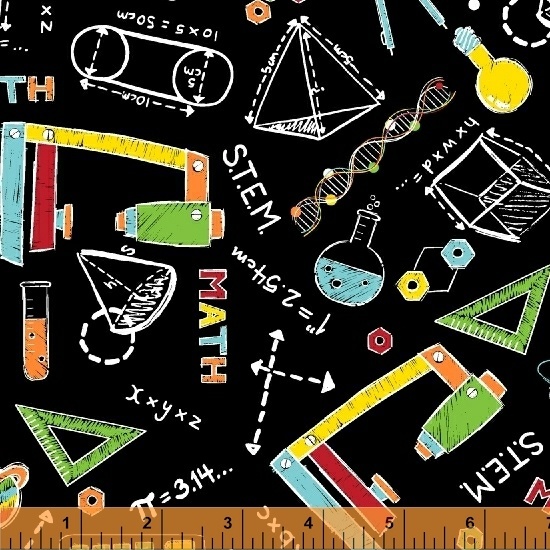 is a quirky collection of fabric based on science, technology, engineering and mathematics. Comprised of "dry-erase board white" and "chalkboard black" backgrounds, with bright primary and secondary colored scientific details, it is sure to please the S.T.E.M. aficionado! Decorate a college dorm room or a toddlers bedroom with the Number Cruncher Quilt Kit which includes Extra Credit pillows! On Sale: January 2019. Ships: July 2019. 11 skus.